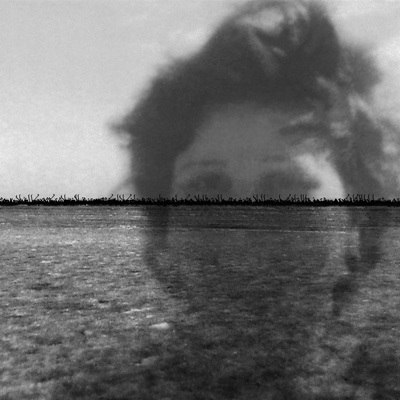 Actually, she is assistant professor of experimental cinema at the University of Tunis. Reprinted portraits of her mother, grandmother and great grandmothers, all of which are adapted from antiquated photographs found in family albums, are set upon a backdrop of a desiccated salt lake found in her natal city of Sfax, Tunisia. The artist creates the sense of limbo where both image and time are suspended and the line that delineates past and present is vacant. Invoked by the negative space of the deceased, Kossentini explores nascent experiences of loneliness and present notions of loss with both the imagery of her home-place and her family. With this series of temporal landscapes, Kossentini not only evokes her home – which she describes as ‘secret gardens’ – but she also evokes the secret gardens that may reside in each one of us. 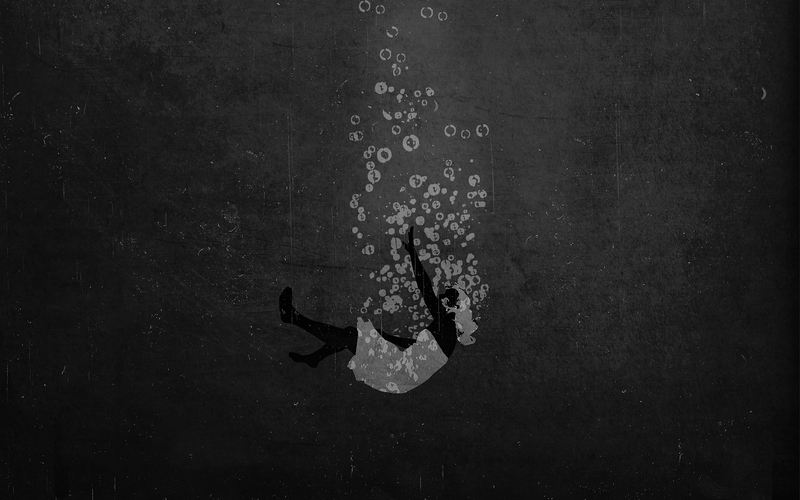 This metaphorical conception of space – a mental space that is neither fictional nor real – invites the spectator to plunge into an indecisive world between presence and absence, between forgetting and remembering. The incomprehensible horizon of calligraphy – with neither beginning nor end, punctuation nor meaning – represents a historical cultural lineage that, to the artists, is a skeleton of both matter and nothingness. Similar to the work of Algerian artist Zineb Sedira, Kossentini assumes the role of storyteller as artist whereby the angst of forgetting informs her practice. The artistic process, as a meditation on the aspect of the perished, ultimately becomes an act of remembering by way of resurrection. 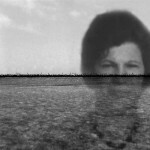 Sedira speaks about the role of women as passeuses de mémoire (couriers of memory) in relation to the Middle East and North Africa, a notion that is present in many of her works. Kossentini touches upon this role as an extension of her own practice, honouring her female kin as historical torch passers of an era close, and yet far, from her own history. 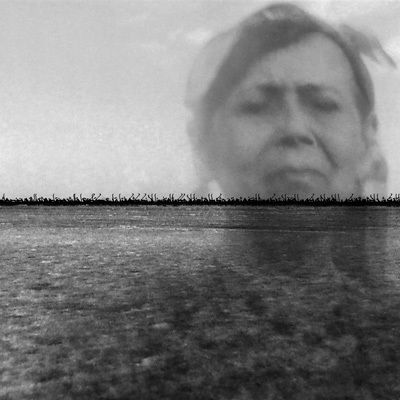 In her video Revenir, the viewer is confronted with a similarly phantasmal image as the photographs in the Boujmal series. Barely making out a small child’s face, a haunting intruder peers from a door frame on a family photograph. 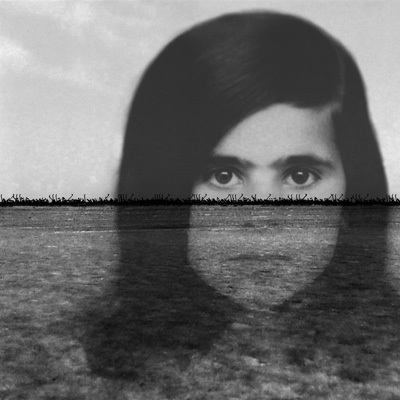 Kossentini again uses a resurrected family photograph from when her mother, aunts and uncles were children in Sfax, yet the video centralizes the ghostly onlooker. The spectator demands the question, as Kossentini may herself, could this child, caught in the frame, have existed? As both an apparition and a child, Kossentini’s allegorical character depicts the onlooker’s marginalized position – the very position the artist exemplifies in many works – as if to identify with the removed figure in the photograph. Both Boujmal and Revenir conjure a conglomeration of dualities: garden and desiccation, presence and absence, kindred and foreign. Kossentini’s works are a contemplation of a phantom space, the in-between margin of dual spaces: a conglomerate of some thing and no thing. Kossentini explores this very margin where the three components – her ancestry, her language and her birthplace – exist.